Inventor and Founder of You tube: Chad Hurley, Steve Chen, and Jawed Karim.YouTube was founded on February 14, 2005, San Mateo, California, United States by Chad Hurley, Steve Chen, and Jawed Karim, formerly PayPal's first employee. Hurley studied design at Indiana University of Pennsylvania, while Chen and Karim studied computer science at the University of Illinois at Urbana-Champaign. Chad HurleyAccording to a story published in the media, Hurley and Chen developed the YouTube idea in the first few months of 2005 after having trouble sharing a dinner party video at Chen's apartment in San Francisco. Karim did not come to the party and refused the party ever happened, while Chen commented that the idea of ​​YouTube popped after the binge "seems to be reinforced by a marketing method centered on creating stories that consumers can easily digest." YouTube started as a pioneering technology company funded by a $ 11.5 million investment from Sequoia Capital between November 2005 and April 2006. YouTube's first office is located above a pizzeria and a Japanese restaurant in San Mateo, California. The domain name www.youtube.com was active on February 14, 2005 and the site was developed in the following months. Jawed KarimThe first video on YouTube is titled Me at the zoo. 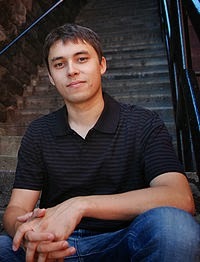 This video features Jawed Karim's co-founder in the San Diego Zoo. This video was uploaded on April 23, 2005 and still exists today on this site. The selection of the www.youtube.com name raises a problem with a similarly named site, www.utube.com. The site's owner, Universal Tube & Rollform Equipment, filed a lawsuit against YouTube in November 2006 after the site was flooded with visitors looking to YouTube. Universal Tube has since changed its site name to www.utubeonline.com. In October 2006, Google Inc .. announced that it had purchased YouTube for $ 1.65 billion in stock. This agreement was concluded on November 13, 2006. Google did not provide detailed information on YouTube's operating costs and 2007 YouTube revenue was written "immaterial" in compulsory forms. 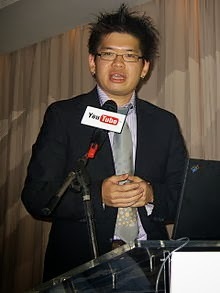 Steve ChenIn October 2010, Hurley declared to resign from the post of CEO of YouTube and become company advisor. Salar Kamangar will take over the control of this company. 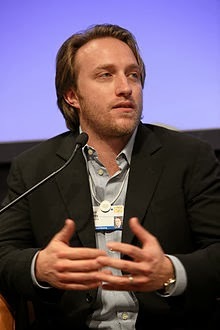 0 Response to "Inventor and Founder of You tube: Chad Hurley, Steve Chen, and Jawed Karim"